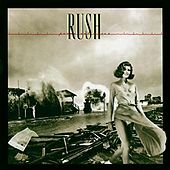 Permanent Waves marked a shift in Rush's tack when it appeared in 1980. With more accessible tunes ("The Spirit of Radio," "Free Will"), a heavier reliance on synthesizers and less lyrics about magical creatures and wizardly warlocks, the album was embraced by the public and became the first of several U.S. mega-sellers for the highly advanced hard rock progressives. The archetypal Rush riff opening and reggae section of "The Spirit of Radio," all of "Jacob's Ladder" and arguably their second-best album cover (after Rush) remain some of the band's best moments. 1980 The Island Def Jam Music Group Inc.